It’s hard to believe it’s the beginning of the year and Valentine’s Day is right around the corner! 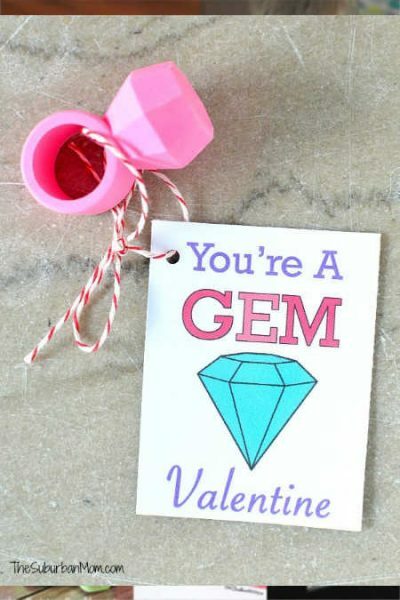 We have 25 free printable valentines day cards for kids sure to be a hit! 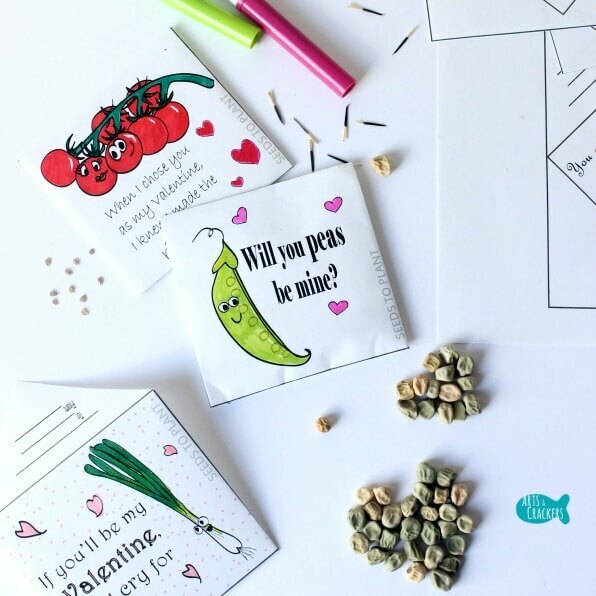 If you are looking for printable Valentines Day Cards for kids that are cute but simple enough for the kids to help with, you’re in the right place! We have 25 printable valentine cards for kids that are absolutely adorable. There are ideas for everyone including non candy ideas. We have lots of traditional ideas as well as non-candy alternatives for those looking for something different. 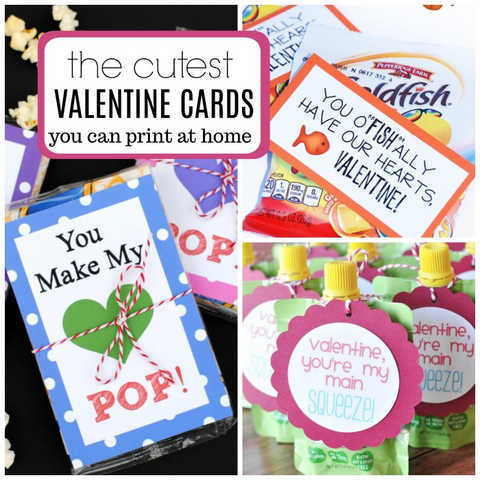 Everyone will love these Valentine’s day printables. From snacks and small toys to the traditional Valentine candy, there are ideas for everyone. 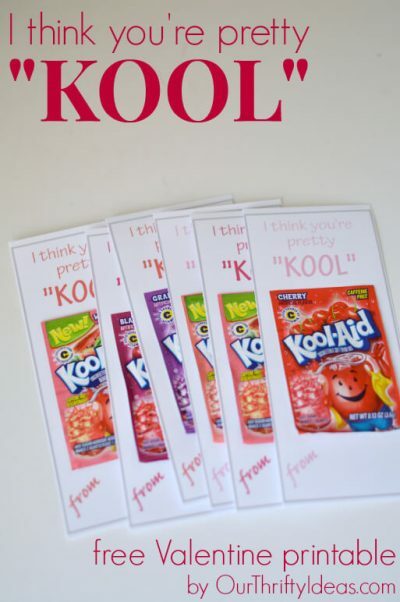 Even better, these printable valentine cards are fun and frugal! 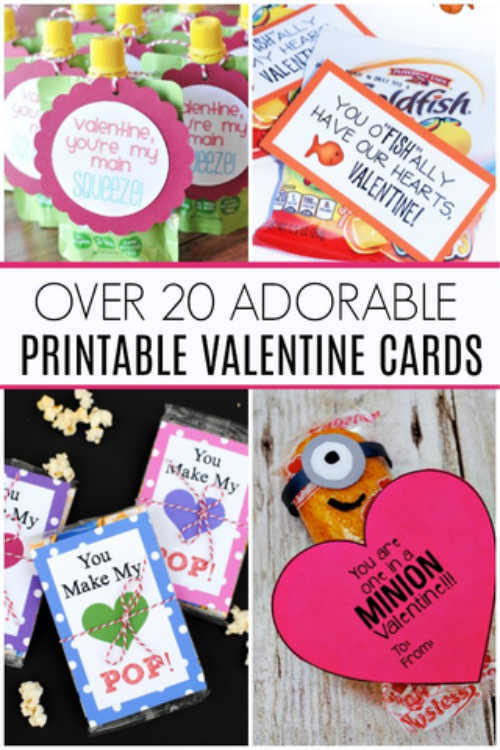 There are so many cute printable Valentine’s Day cards for kids. Find ideas for boys and girls that classmates are sure to love. Let’s get started with these free printable valentines day cards! 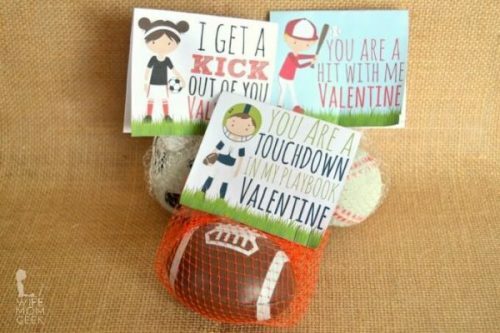 These are the best Valentines day card ideas for kids! 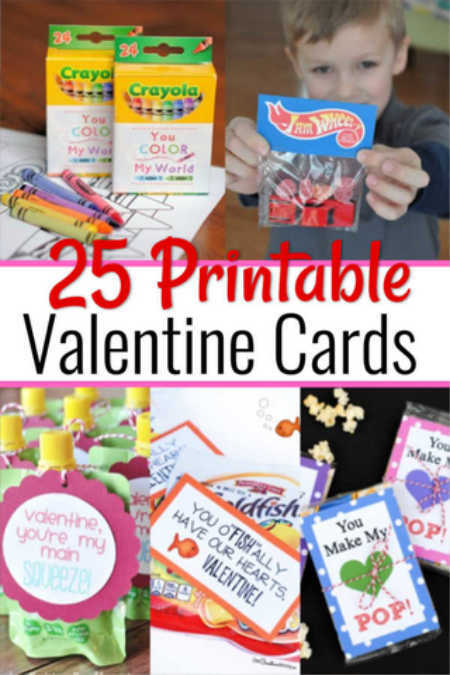 Take a minute and check out these fun and free Valentine cards ideas that you can print at home and easily make with your kids. 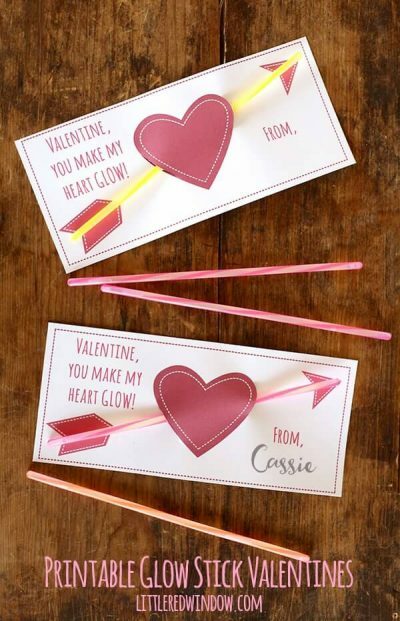 Skip the over priced store bought valentines when you can make printable valentines day cards at home! 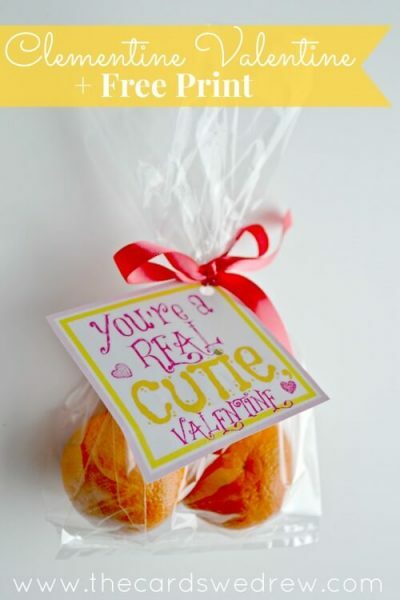 The kids will love these valentine free printable cards and they are so easy to make. 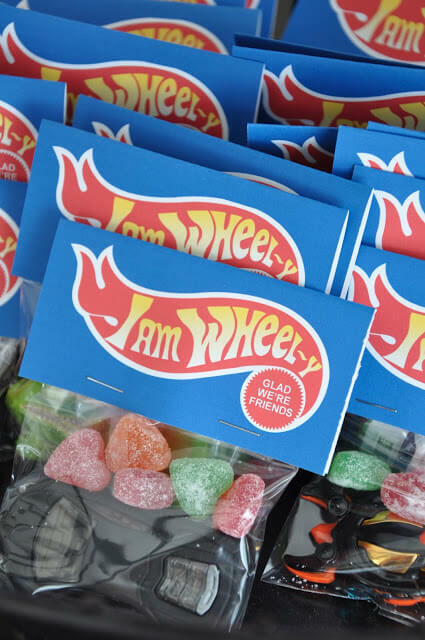 This is perfect for those looking for an alternative to candy. Plus, the seed packets will provide a fun activity and kids can enjoy watching their seeds grow! 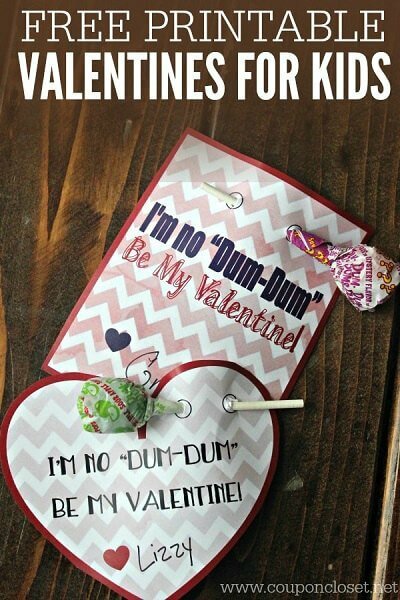 Try making this easy homemade Valentine using lollipops and a free printable. This idea is fun and frugal! All kids love ring pops! 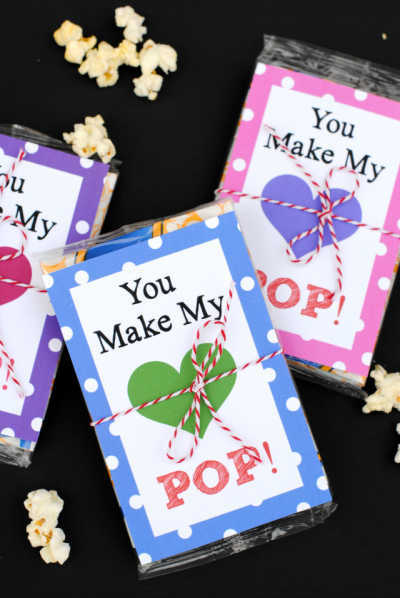 Grab this free printable for ring pops and get started. This idea will also work for gem shaped erasers and more. 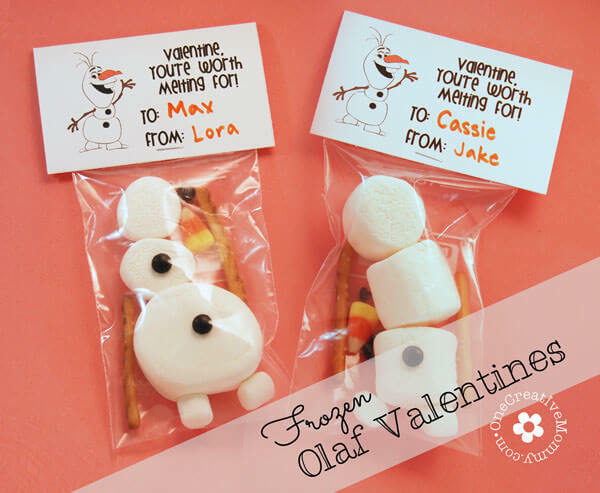 Olaf fans can get a free printable to make a bag of goodies. Attach marshmallows and other goodies to make Frozen Olaf. 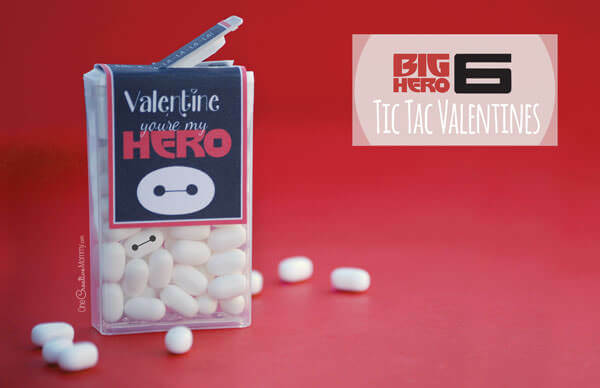 Get a free printable for Tic Tac candy that can be used for these Big Hero Six Valentines. The white tic tac candy goes perfectly. Free heart printable to attach a fun pencil to that is sure to be a hit. Plus, this idea is candy free and mom’s will love it too! Just attach a glow stick and you are set with this fun idea. Kid’s will love playing with these. 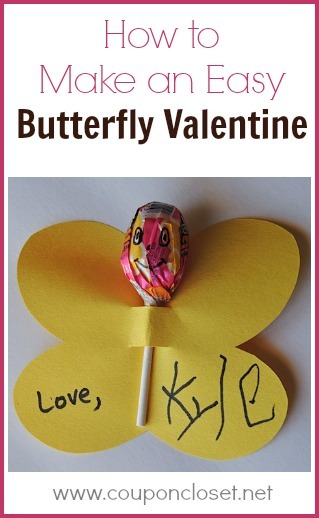 Kid’s can help make these easy valentines using cutouts and a lollipop. Such a fun idea and kids can help. This cute idea uses mini Bubbles instead of candy. You can get bubbles in bulk on Amazon or try the wedding section at dollar tree. Just add a packet of Kool-Aid and you are set! This idea is fun and practical. Perfect for preschoolers with apple sauce attached. However, this could work for kids of all ages and it is healthy too. This candy free alternative uses different mini sports balls and is perfect for sports fanatics. You can pick up small sports balls on Amazon inexpensively. 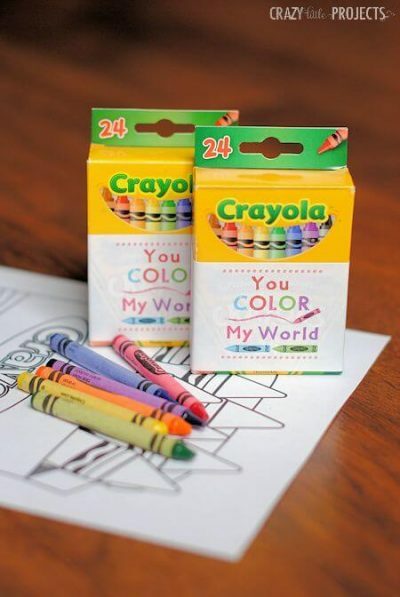 This fun idea uses crayons and also provides an activity for the kids. Everyone will love this idea! Who doesn’t love goldfish? 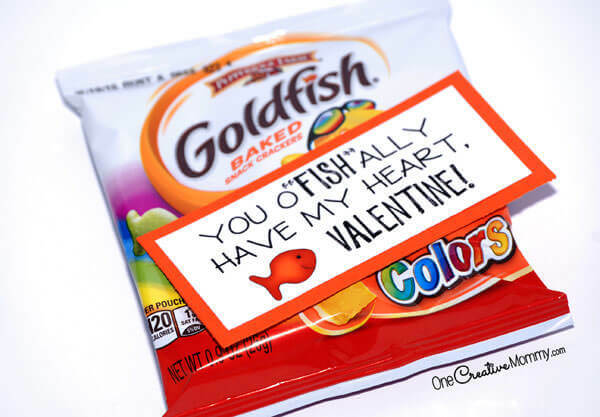 Grab this free printable using individual bags of Goldfish and your Valentine’s are sure to be a hit! Kid’s love play doh and they make the perfect item instead of candy. Grab the mini cans of playdoh and it is perfect to put on the free printable. 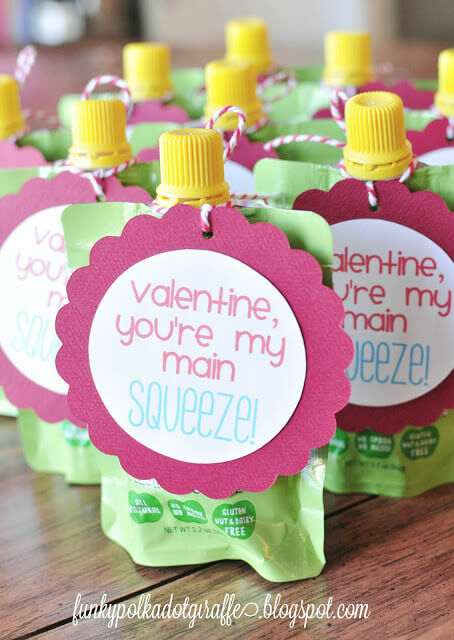 Here is another fun printable using apple sauce pouches. This is a favorite with moms and you can get big box of apple sauce and easily make these for your child’s class. Use this free printable and use “Cuties” for a treat sure to be a hit. These are pretty and so sweet. 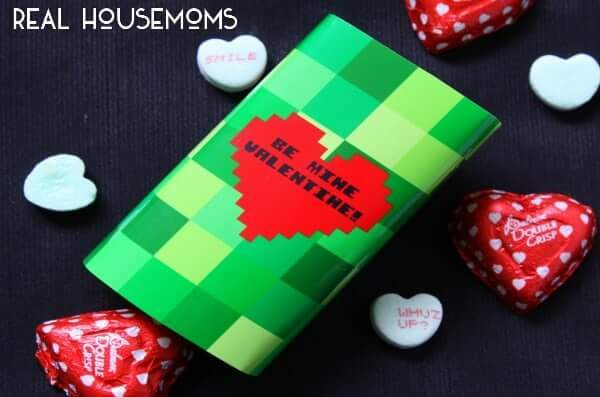 Minecraft fans will love this with conversation hearts. Turn a normal box of hearts into a fun treat. 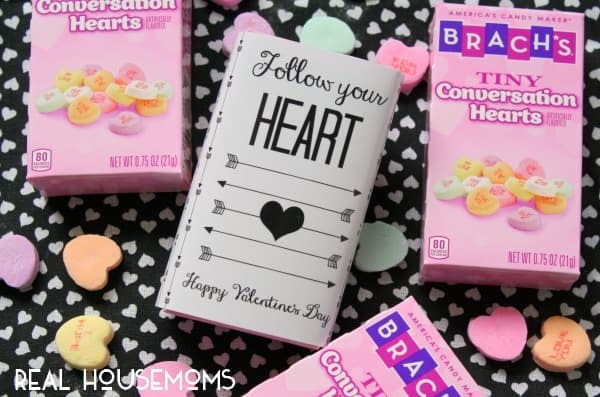 This idea uses small boxes of conversation hearts to “follow your heart”. Grab this free printable and get started. This fun idea uses bags of microwave popcorn. Perfect for a snack when the kids get home and everyone can enjoy this idea! 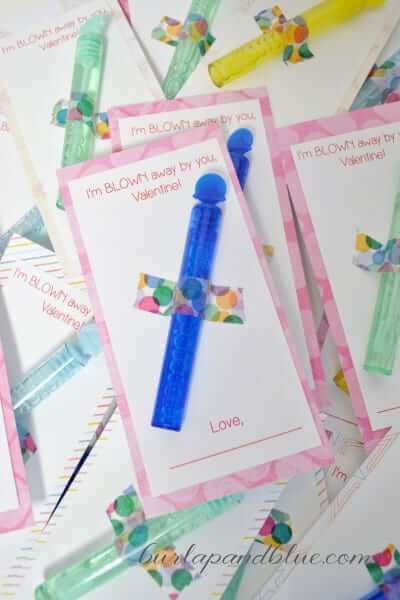 Get some inexpensive hot wheels and this free printable to make adorable valentines. This idea is sure to be a bit hit with hot wheels fans. 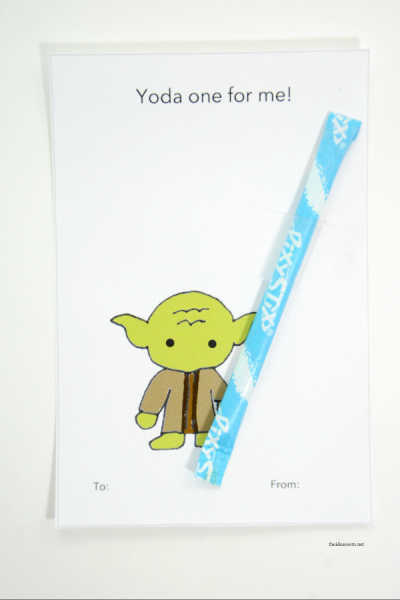 Get printables with various characters from Star Wars. Add pixie sticks and you are set! How cute! 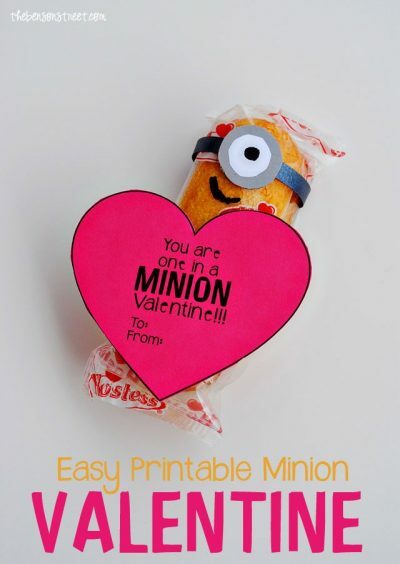 Grab some twinkies to pair with this fun printable to make Minion valentines. So fun and clever. This idea is great idea for older kids and perfect if you are looking for non candy ideas. 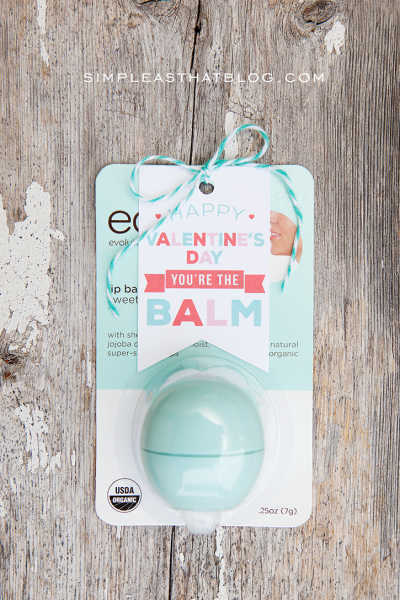 Love this idea to use EOS. This is a fun project for kids to help with and everyone loves stickers. Stickers are a fun alternative to candy as well. 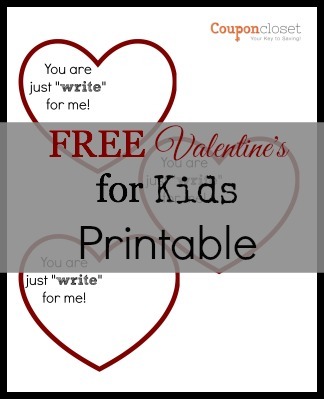 Which one of these free printable valentine cards for kids do you plan to make? We love free printable valentines and there are so many cute ones to choose from. 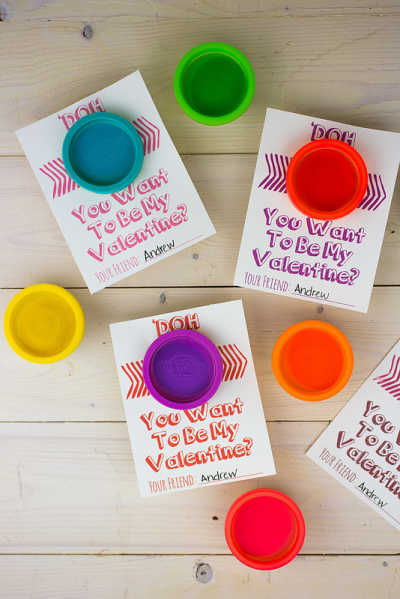 These printable Valentine day ideas are perfect for boys and girls. From non candy valentine card ideas to traditional candy ideas, there are valentines day cards for everyone! 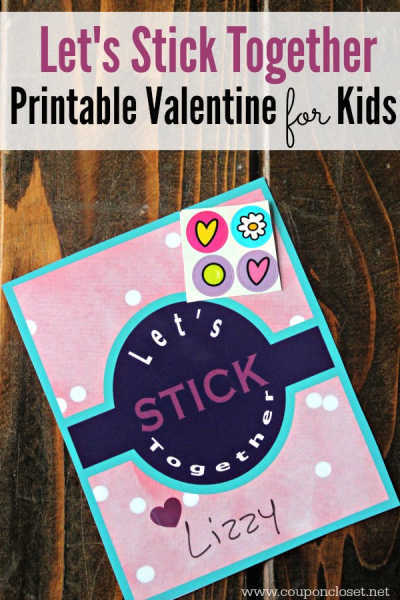 Get started with these fun valentines day cards for kids! 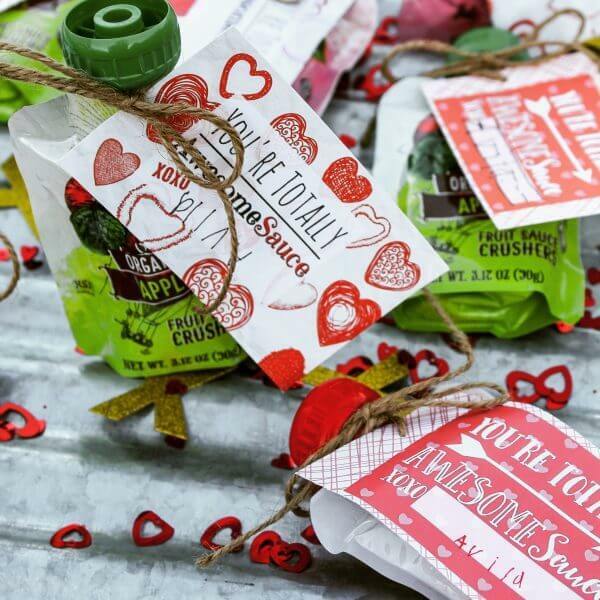 Choose one of these awesome free valentine ideas and get started. They are sure to say Happy Valentine Day! Free valentine cards are the best!